Creaking has been a problem in tall buildings for a long time, but the specific causes of the creaking were unknown. So, Studco led an in-depth two-year research project that analyzed global wind studies and performed field investigations within buildings that had known noise problems. This led to the discovery that the head track in the steel stud wall system was not fit for purpose when fixing to an uneven surface: the head track becomes deformed as it follows the contours of the substrate’s uneven surface, putting tension on the profile as a result of elastic buckling, and in some extreme cases, plastic deformation occurs when the track becomes creased and permanently damaged. As the building vibrates and sways in a cyclical pattern with the wind, the tension in the track causes an irritating creaking noise. Studco’s engineers designed the Vortex High Performance Framing System specifically to address the variable surfaces of modern concrete structure and the stresses and tension that tall buildings experience in high winds. This lightweight steel framing system reduces stress and tension from the building’s internal framing by using features such as rigid beams which increases stiffness and resists buckling, anti-tension kerfs which limits deformation where the substrate is extremely uneven, and isolation clips to eliminate metal-on-metal contact at the bases of wall studs, door jambs and ceiling wall track sections. These are just a few of the features that significantly reduce the creaking sound in tall buildings, and that lead to positive experiences for the residents and guests within them. “Our apartment creaked a lot before. We replaced the walls with the Vortex system from Studco and the problem has disappeared,” said S. Volker, Melbourne, Australia. 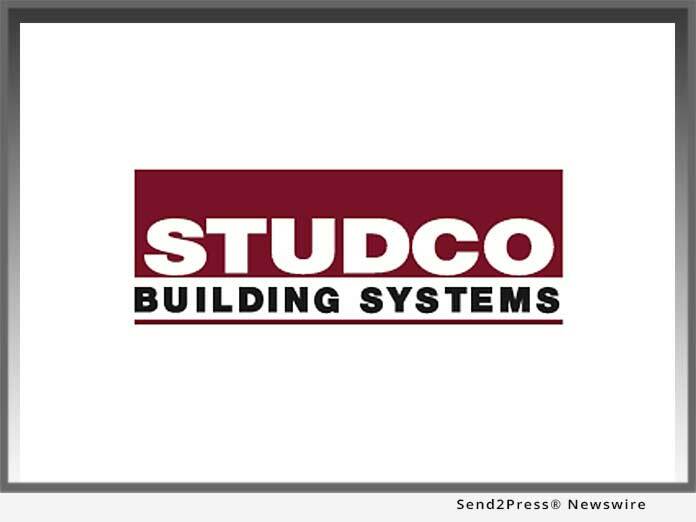 Studco Building Systems innovatively designs, develops and produces steel stud and concealed ceiling systems, architectural finishing systems and sound isolation systems for the construction and building industry. For over 30 years, Studco has developed numerous leading-edge, patented building systems that have revolutionized the industry.